Ladies and gentleman: The King of Sweden! In July 1973, two months bef​ore the prince became Carl XVI Gustaf, king of Sweden, I took my first picture of him for the daily newspaper GT. The prince posed together with Rolf Edling, who then became the world champion in fencing in Gothenburg. Now, 45 years later we meet again. 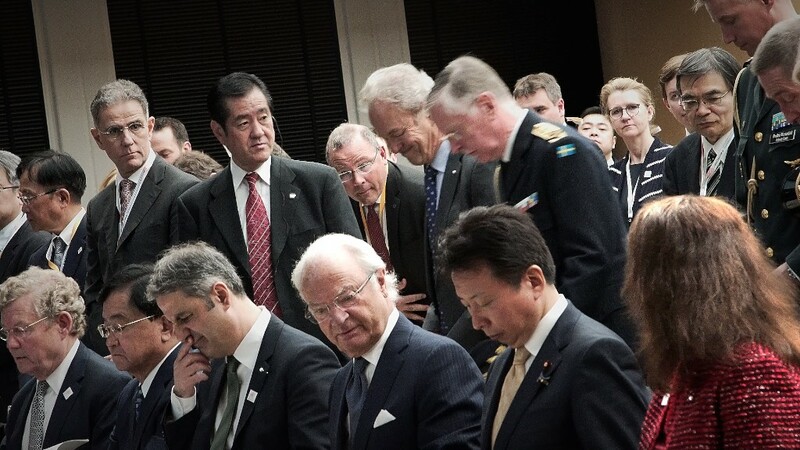 This time in Tokyo where our king did put focus and color on the Japan-Sweden 150 years anniversary celebration. I´m commissioned by the Swedish Embassy and Business Sweden in Tokyo to produce a film documenting the event. Oh yes, I forgot, I meet with the king one more time. This was around the time when I did the first interview with Silvia Sommerlath together with journalist Hans Almqvist. The year was 1976 and the winter Olympic games in Innsbruck.